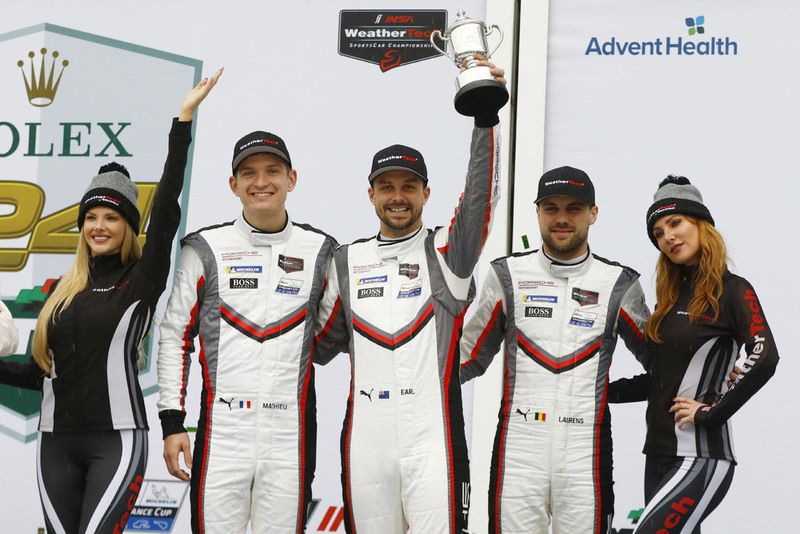 The Porsche GT Team was rewarded for a strong performance with a place on the podium at the 24 Hours of Daytona. Under difficult conditions on the Daytona International Speedway (USA), the two Porsche 911 RSR racers achieved positions three and five. The ca. 510 hp sports cars from Weissach had clearly dominated the first half of the long-distance classic. However, heavy rain, numerous caution phases, interruptions and incidents threw the two factory cars in the legendary Brumos design into a rainy game of chance in the final hours. The new Porsche 911 GT3 R achieved eighth place at its race debut.